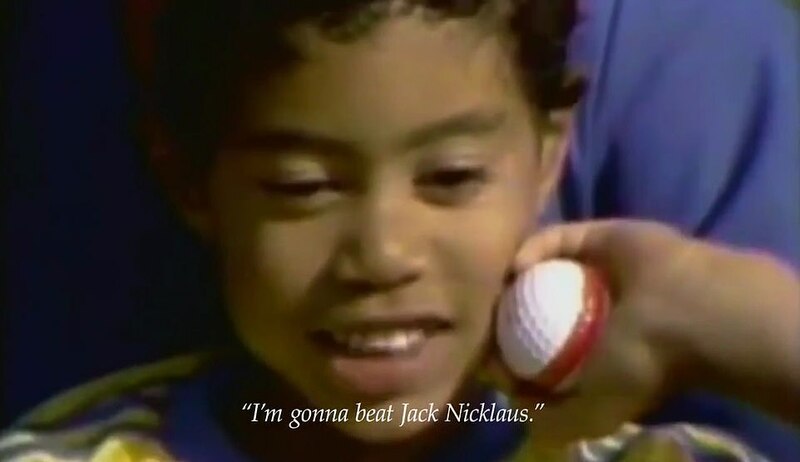 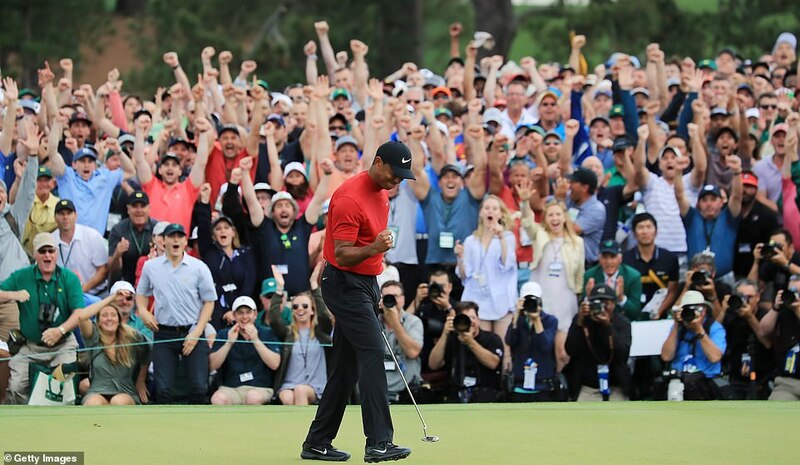 Tiger Woods holed for an estimated $22.5 million for Nike taking just two seconds to putt to his first major victory in 11 years in a sensational sporting comeback at the Masters. 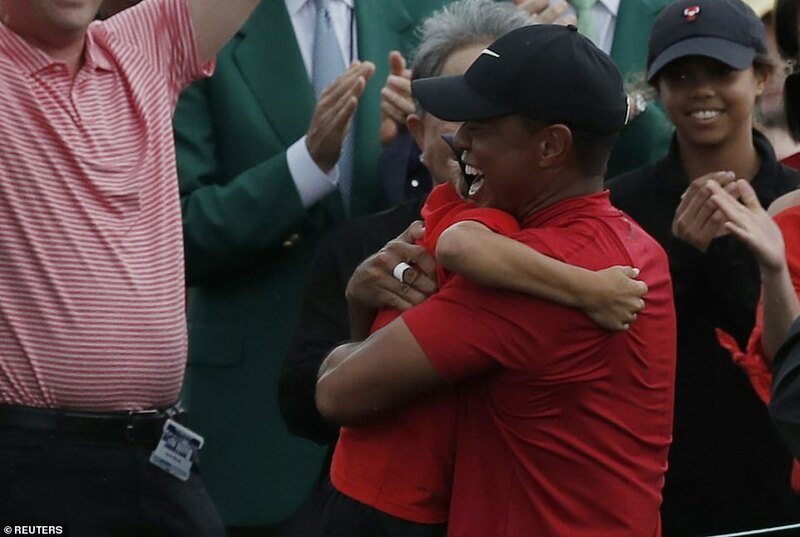 Woods, 43, raised his arms triumph on the 18th green while wearing his Sunday red Nike shirt, the same as he had worn in his first major triumph at the Masters at Augusta National Golf Club in Georgia in 1997. 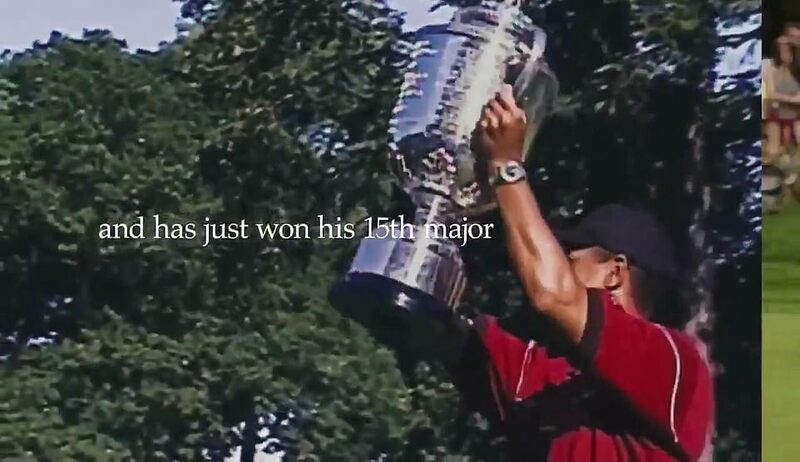 It broke a major-winning curse he had borne for over a decade and meant Nike cashed in to the tune of an estimated $22,540,000. 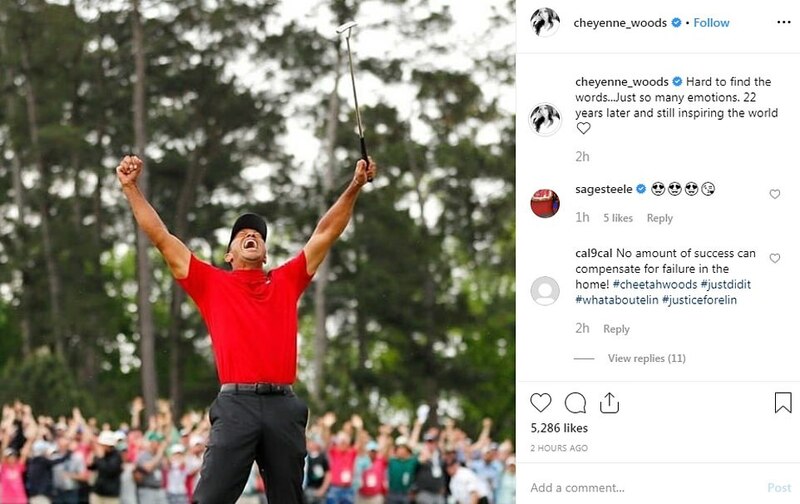 That money is thought to equal the brand value added during coverage of his last round alone, Apex Marketing said. 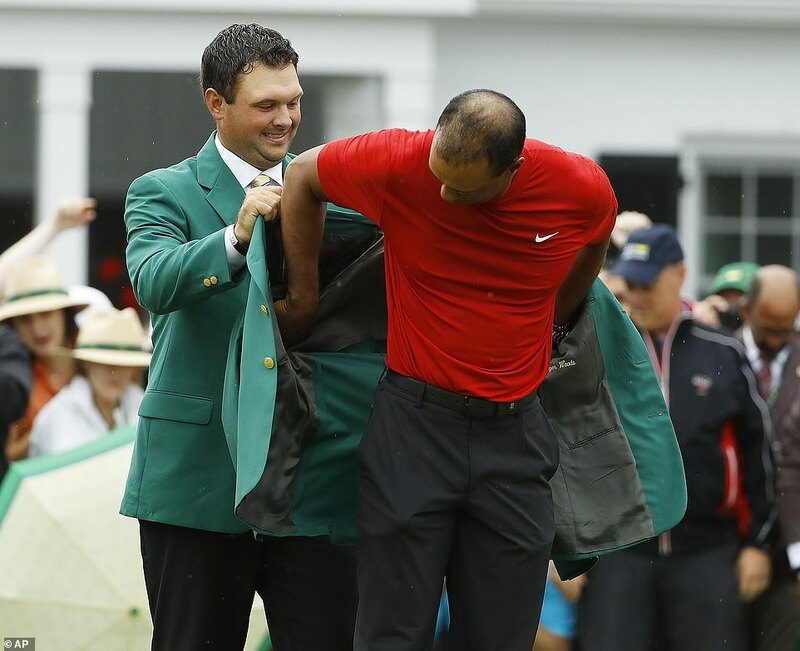 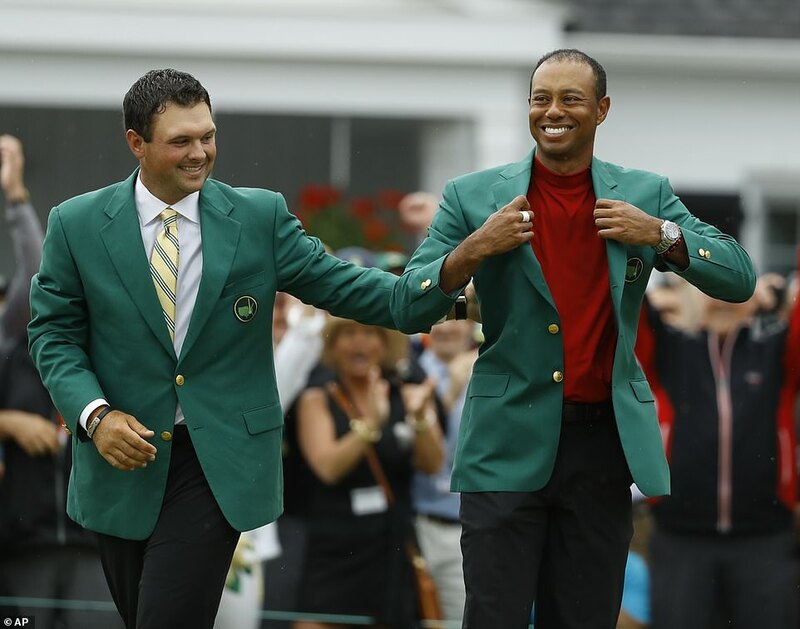 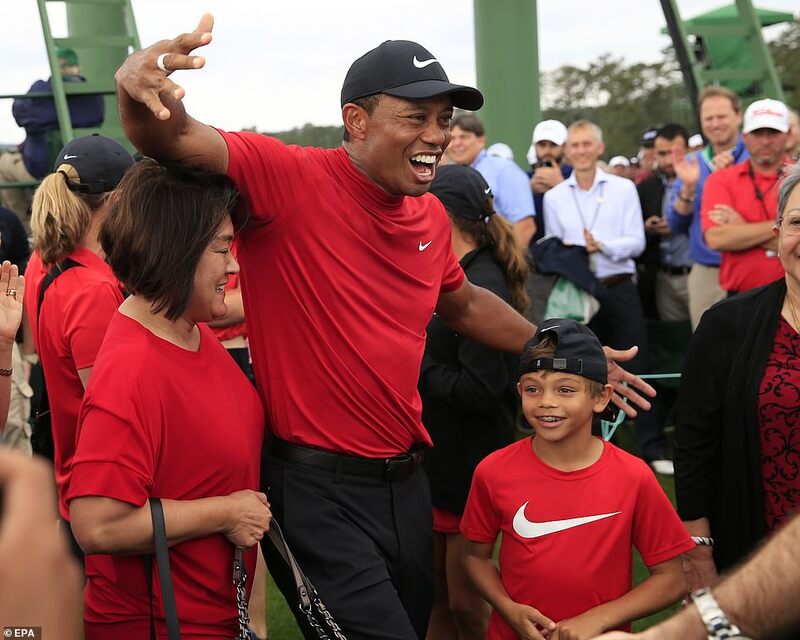 It was a comeback for Woods and a colossal boost for the sporting apparel giant who had taken a gamble in sticking with the champion after stories of extra-marital affairs rocked him in 2009. 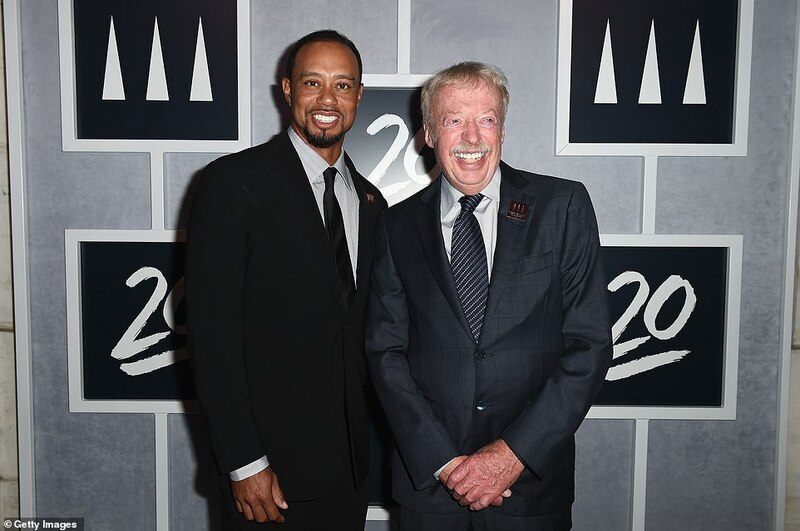 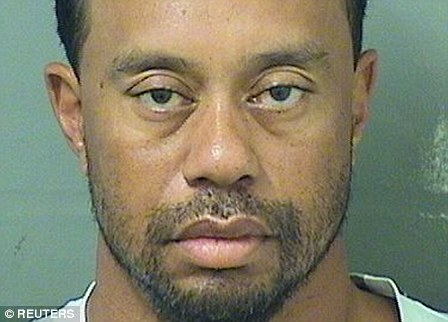 They had similarly backed Woods when he was found asleep at the wheel of his car at a set of traffic lights in 2017, and remained faithful despite back injuries since 2014 which left Woods failing to make the cut at majors. 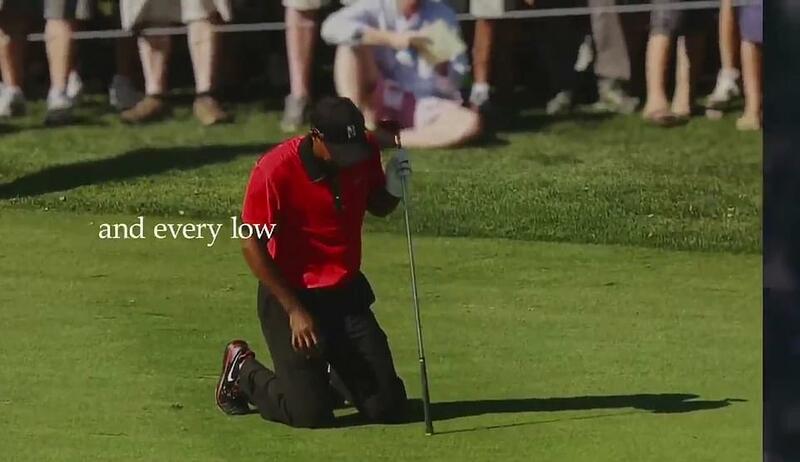 During his decade of physical and mental strife many of the brands who had been associated with Woods – AT&T, Procter & Gamble Co.’s Gillette, General Motors Co.’s Buick and watchmaker Tag Heuer – had dropped him, Bloomberg reported. 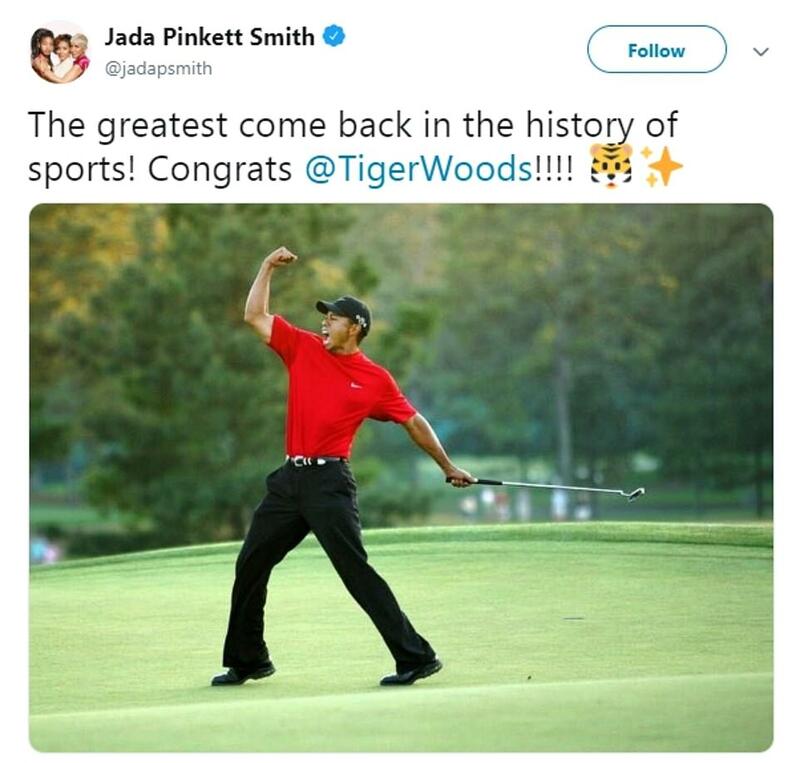 His sensational comeback captured the hearts of millions across the world – including President Donald Trump and former President Barack Obama. 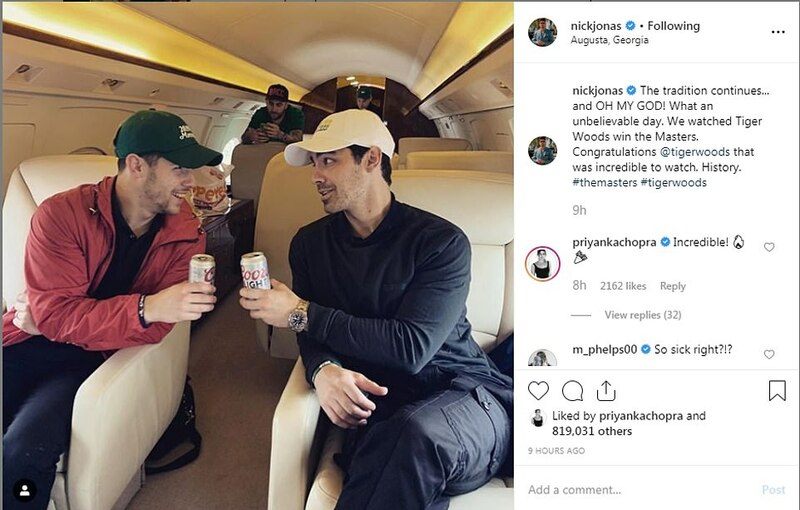 Herman, who manages Woods’ restaurant The Woods in Jupiter Florida, has been dating him since September 2017. 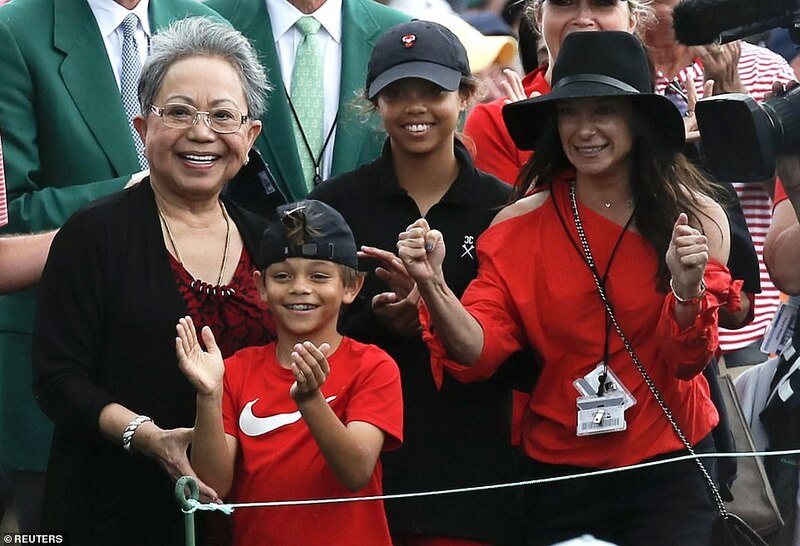 She has been wearing the ‘Player Spouse’ badge reserved for wives and girlfriends of tour pros to watch him play since that time and they are said to be exceptionally close, Golf Monthly wrote. 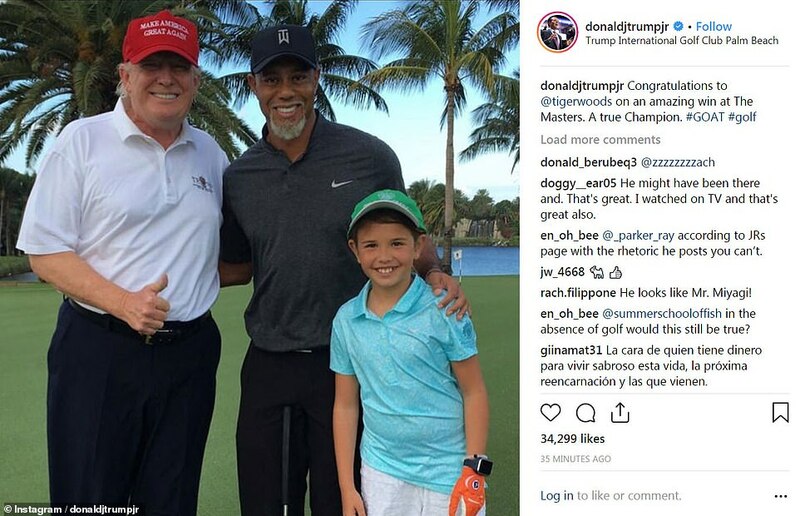 The mother of Woods’ children is his former wife Elin Nordegren, a Swedish model who he married at Sandy Lane in Barbados in 2004. 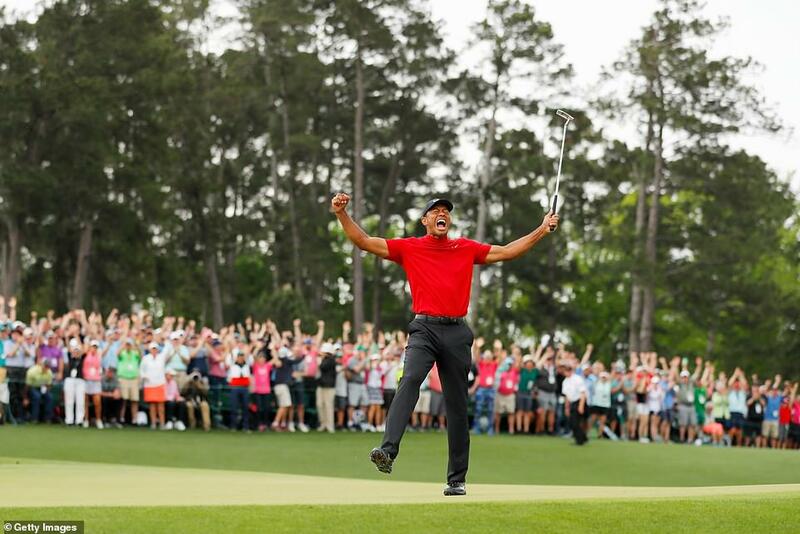 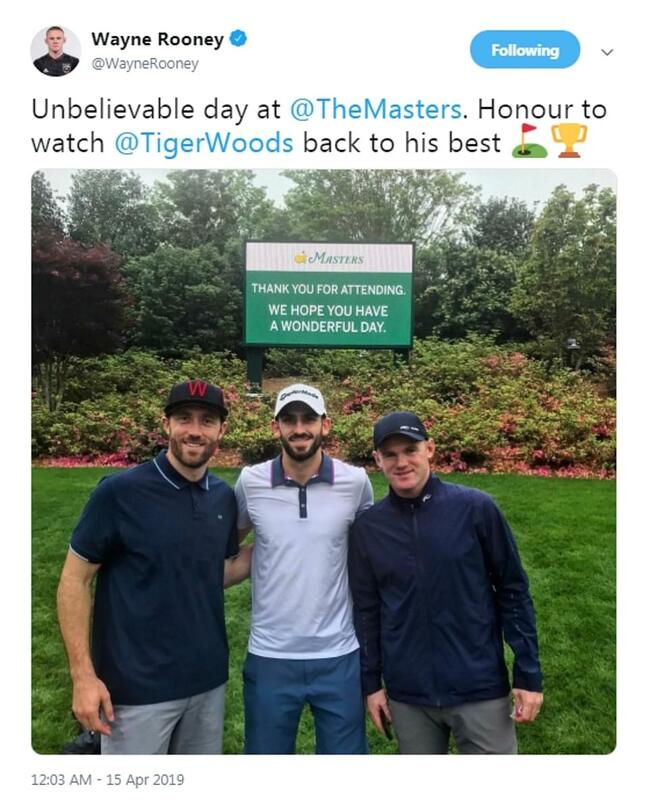 And it is just two years since he was overheard quietly telling Jack Nicklaus ‘I’m done’ during the Champions Dinner at Augusta National, after which he flew straight to London to see a consultant who recommended he undergo what proved to be career-saving spinal fusion surgery. 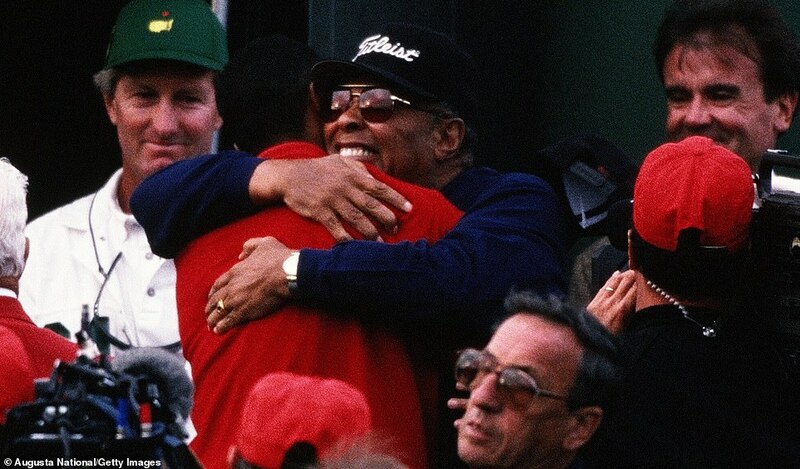 Speaking in Butler Cabin ahead of receiving his fifth green jacket on Sunday, Woods said: ‘It’s come full circle, I had my dad there in ’97 and now I have my kids here today. 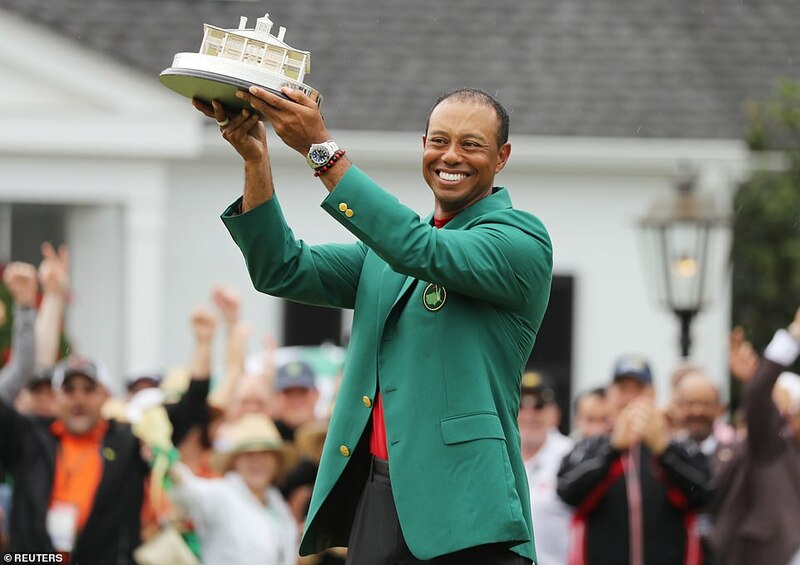 Wood’s phenomenal triumph was staged under the threat of storms as a severe weather system moved across the South.